Taken on Feb. 21 the interesting video in this post shows two Russian Sukhoi Su-57 stealth fighters deploying to Khmemeim Air Base, Syria. The fighters were joined by four Su-35s, four Su-25s and 1 A-50U. As reported by Sputniknews Deputy Defense Minister Yuri Borisov revealed during the recent visit at Komsomolsk-on-Amur Aircraft Plant that the country will sign the contract for the delivery of the first batch of 12 Su-57s this year. He explained that the first two planes from this batch may enter service with Russian Armed Forces in 2019. He added that 12 Su-57s have already been built when the aircraft was still designated PAK FA, with ten of them continuing flight testing. The Su-57 is the product of the PAK FA (literally “Prospective Airborne Complex of Frontline Aviation”) program. The Su-57 is a single-seat, twin-engine multirole fifth-generation fighter aircraft designed for air superiority and attack roles and will be the first aircraft in Russian military service to use stealth technology. 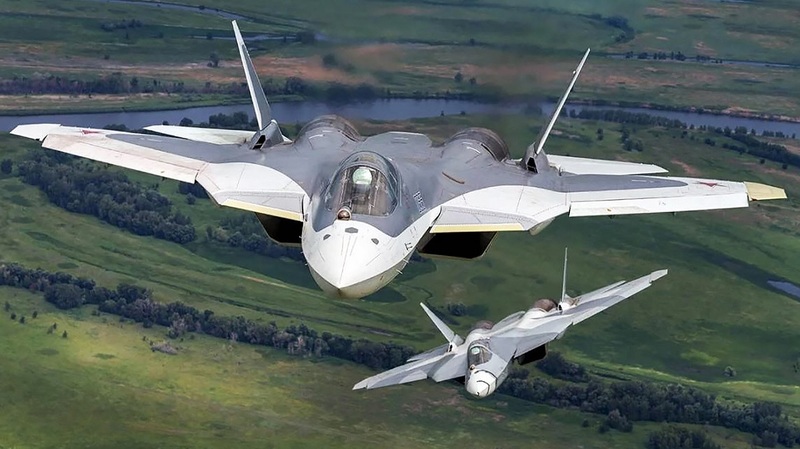 Chief Col. Gen. Viktor Bondarev told last year that thanks to its advanced features (which include supercruise, supermaneuverability, advanced weapons, an active phased array radar and a revolutionary avionics system capable of autonomous calculations of the battlefield situation to assist the pilot) the aircraft will be able to outperform the F-22 Raptor.